Jim's current writing project is a novel based on Hiram Berdan's United States Sharpshooters set in the eastern theater of the Civil war. Jim's Civil War novel, Riding for the Flag, the story of three brothers whose loyalties to North and South place them on opposite sides of the conflict, was published by Kensington Books, September 1, 2015, in paperback and e-book editions. Large print (Thorndyke Press) and unabridged audio edition (Recorded Books) will be available on January 8 and March 1 in 2016. Raiding With Morgan, the story of the invasion of southern Indiana and Ohio by 2,400 Confederate cavalrymen under the command of General John Hunt Morgan in July of 1863 was published in hardcover by Kensington Books, April 29, 2014. A mass market paperback edition was released by Kensington May 26, 2015. The novel is also available in large print (Thorndyke Press), ebook, and unabridged audio format (Recorded Books). Fascinated by his father’s tales of the frontier, Jim R. Woolard earned a doctorate in American history and spent years researching Ohio history from 1790 to 1815. Jim’s goal in his writing is to portray every-day life on the Ohio frontier as accurately as possible. His historical novels take the form of personal memoirs. 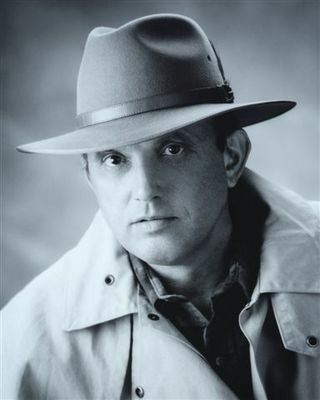 Jim’s first novel, Thunder in the Valley, won the 1996 Western Writers of America Medicine Pipe Award for best first novel and the 1996 WWA Spur award for best original paperback novel. The award-winning Thunder in the Valley was followed by Winds of Autumn, Cold Moon and Blood at Dawn. Feathered Tide, a novel based on the River Raisin Massacre and the first siege of Fort Meigs during the War of 1812, Goldminds Publishing, LLC, March, 2012. Colorado Sam, an adventure/murder mystery featuring a huge dog and a young man in great danger, set in 1891 Alamosa, Colorado, Goldminds Publishing, LLC, October, 2010. Ozark Red, a novel about a father, his estranged son, and the champion coonhound that reunites them, Goldminds Publishing, LLC, November, 2007. Jersey Red, a runt Redbone coonhound helps a young man find the courage to confront the school bully and uphold his family name, Goldminds Publishing, LLC, November, 2008. A rousing tale of a young Ohio frontiersman who escapes the clutches of hostile Shawnee Indians and white settlers with hanging rope in hand. Danger, war and romance on the Ohio frontier. A fictional recounting of the massacre of General St. Clair’s army by the Ohio Indians.